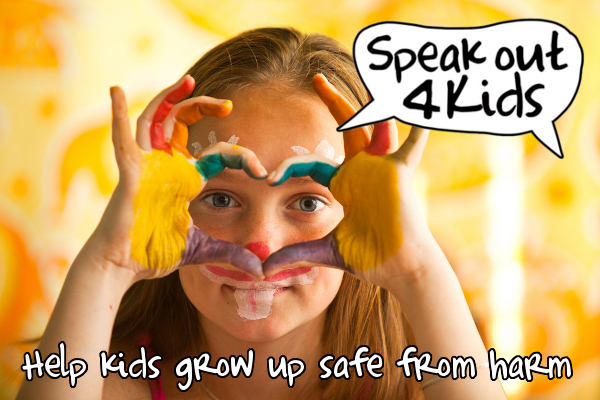 Speak Out 4 Kids aims to address, educate and respond to the issue of Domestic Violence within the Macleay Valley. Speak Out 4 Kids recognises the need for public education and awareness-raising campaigns to focus more on the impact of Domestic Violence on children and how it can affect them in later years. Young people know if there is violence in their family and often our children’s voices go unheard. Parents often believe that their children don’t know what’s going on because the violence happens at night, or behind closed doors, or while the children were outside or away from home. But studies have shown that young people frequently recall incidents which they were not ‘supposed’ to have seen. Research has found that there are higher rates of Domestic Violence in those households where children are present. According to a national survey funded by the Australian Government 49% of victims of Domestic Violence by a current partner had children in their care at some time during the relationship and approximately 27 percent reported that these children had witnessed the violence. 61 percent of victims of violence by a previous partner also reported having children in their care at some time during the relationship and 3 percent said that these children had witnessed the violence. Indigenous young people are more likely to report having witnessed Domestic Violence than non-Indigenous groups. Speak Out 4 Kids objective is to create positive change to ensure children are our main concern and to promote the proverb of ‘it takes a village to raise a child’. Public education and community engagement campaign to raise awareness of our shared responsibility in Child Protection. Research and development of an ‘Assessment tool kit’ for services to assist in identifying children experiencing the ongoing effects of domestic and family violence. The safety and wellbeing of our children is ‘everyone’s business’. The project and is managed by Kempsey Families Inc. Inc. through the support of Macleay Valley Communities 4 Children. Mitchell, Liesl. 2011. Domestic violence in Australia—an overview of the issues. Parliamentary Library Background Note, Nov 2011. Canberra: Department of Parliamentary Services. Richards, Kelly. 2011. Children’s Exposure to Domestic Violence in Australia, Trends & issues in crime and criminal justice no.419, Canberra: Australian Institute of Criminology.